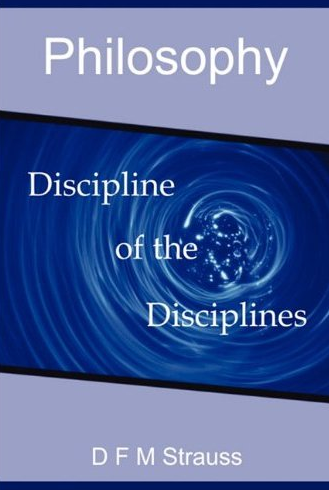 Philosophy as The Discipline of The Disciplines por D.F.M.Strauss. This new work by Danie Strauss must now be called The Definitive Statement regarding The Philosophy of The Cosmonomic Idea. In effect, it is the New Critique for the twenty first century in that it not only covers the entire range of the fundamental ideas developed by Herman Dooyeweerd more than seventy years ago, but it does so entirely within the spirit of Dooyeweerd’s work. Strauss systematically develops a number of themes that are troublesome in Dooyeweerd’s formulation and manages to provide us with significant resolutions. Perhaps the single most important contribution to theoretical analysis as such, is his elaboration of the relationship between Conceptual Knowledge and Concept Transcending Knowledge (Idea Knowledge). This relationship is central to all forms of discrimination and is pervasively evident in the cultural traditions of both the East and the West. This work will be the starting point for systematically coherent analysis in all disciplines as Strauss convincingly makes his case that Philosophy is the Discipline of The Disciplines.